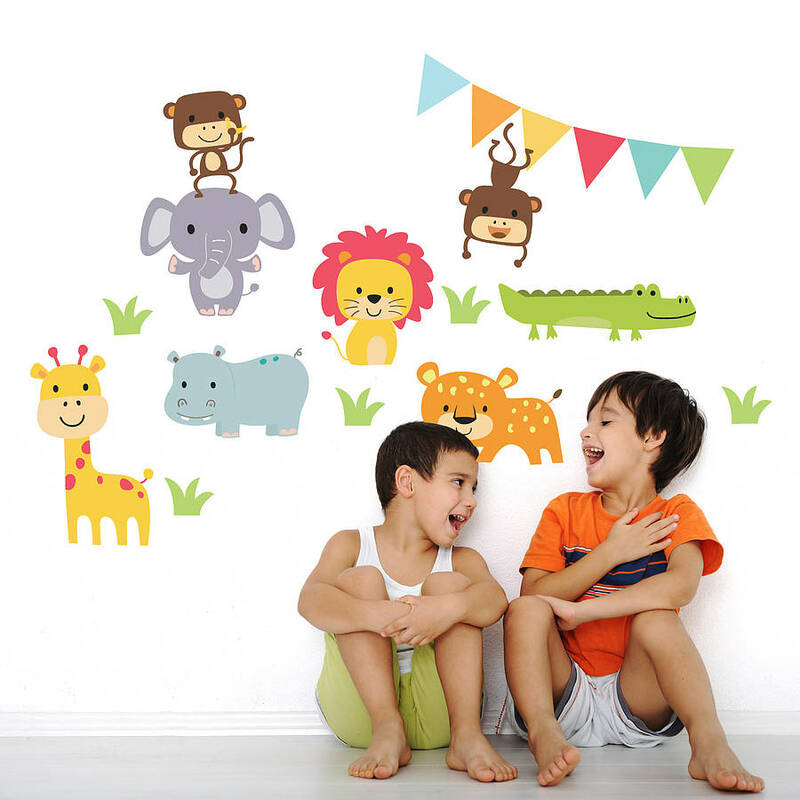 An exciting jungle scene perfect for childrens bedrooms and nurseries. Simply peel and stick! Removable and reusable! Our Full Colour "PEEL & STICK" Wall Stickers are the latest innovation in interior styling. 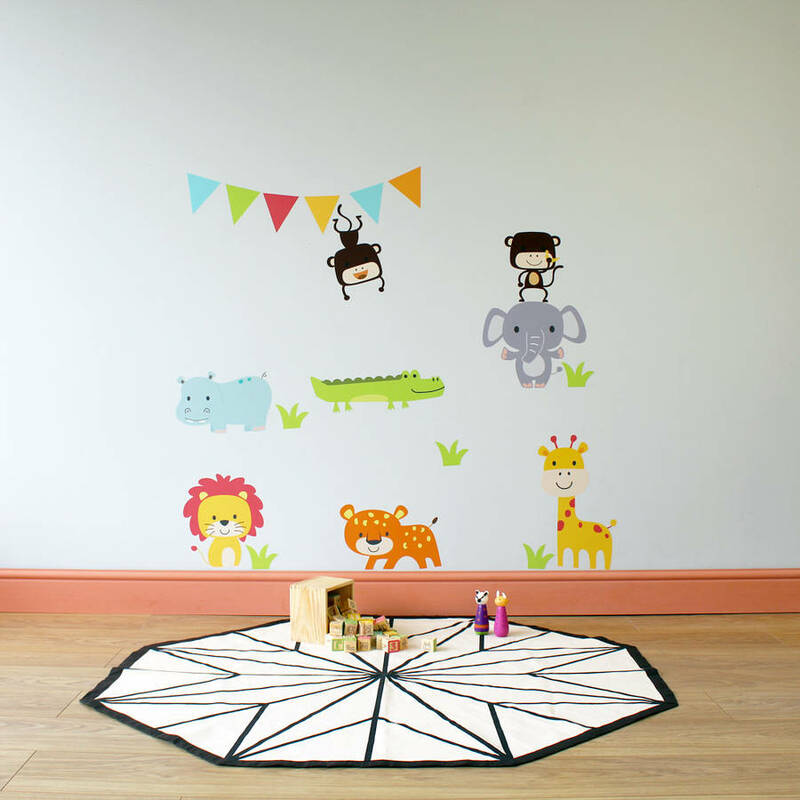 They are crafted from a matt finish vinyl which has a water based adhesive and printed using Eco Friendly Inks. No Mess, No Glue! Offering an affordable alternative to wall paper or paint, they are simple to apply in minutes and make a massive transformation to any plain wall. All of our products are removable and re positionable making them an extremely versatile way to decorate your home or work place. 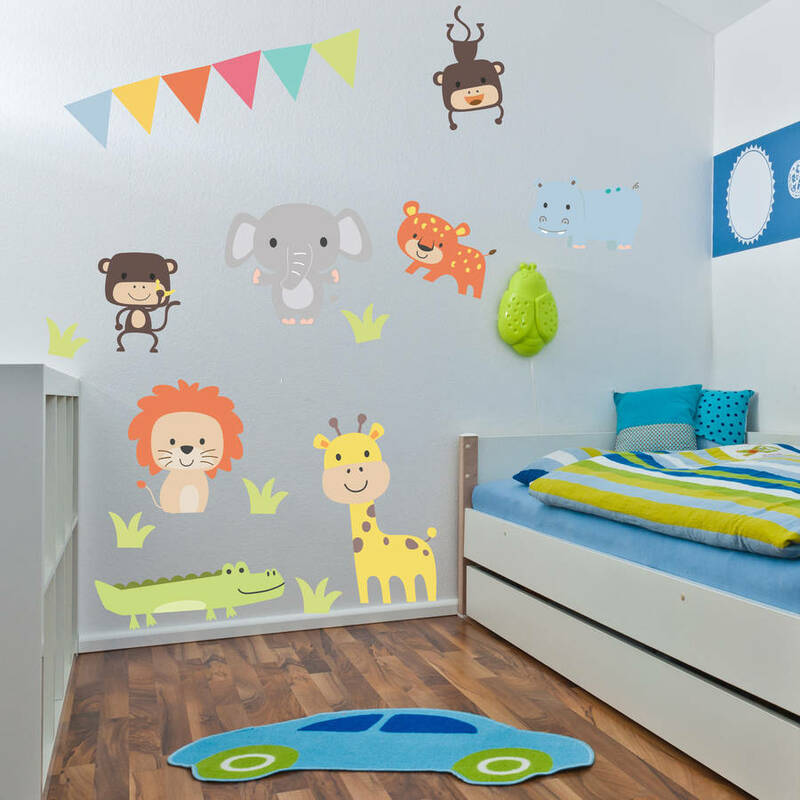 We only use premium "branded" vinyl to craft our wall stickers and all of products are cut using the latest in vinyl printing/ cutting technology.